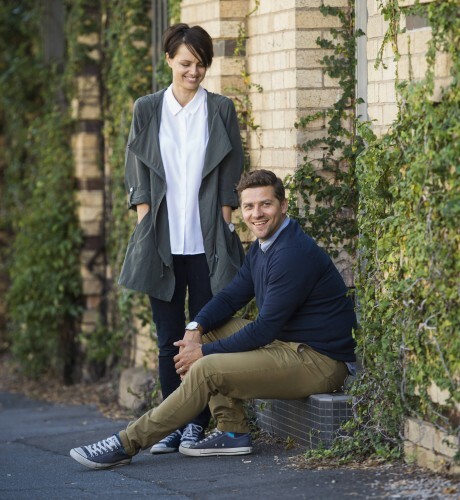 Two former Brisbane agency heads have teamed up to launch a start-up dedicated to brand strategy, digital and content. Type + Pixel is headed up by Darren Walls, previously head of digital at Brisbane creative agency JSA Creative, and his wife Laura Walls, founding member and former head of Haystac Brisbane. Positioning itself as a branding agency for the digital world, Type + Pixel will focus on delivering audience-centric, multi-layered brand experiences across all screens and platforms. The brand strategy and digital offer is headed up by Darren, while Laura runs the content strategy and creation team. Since launch, Type + Pixel has already clocked up a number of big client wins, including the design of a new e-commerce user experience for youth fashion retailer City Beach, as well as digital projects for wealth management firm Infocus, luxury housebuilder Kalka and retirement living operators Aura Holdings. In addition, it is one of just a handful of agencies nationally to be appointed to Tourism and Events Queensland’s content creation panel. Recent work for the tourism organisation includes the development of a new brand narrative for its newly-launched Queensland creative platform and a travel video series starring Gold Coast 2018 Commonwealth Games mascot Borobi. Walls said: “Our approach is based on the notion that all great digital experiences have to start with a really strong understanding of brand. “It’s an element that’s often overlooked in the digital space – there’s a tendency (often driven by the client) to jump straight in without looking at the bigger picture and thinking about the overarching strategy.